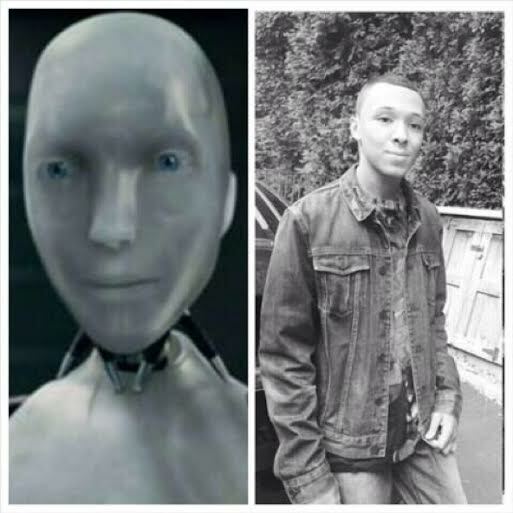 Whoops, Little Russy Simmons Turned Into Sonny From "I, Robot"
Hey, ya know what? It happens. Sometimes you wake up one day and you become a robot with no emotions, thoughts, or melanin. The b/w Instagram filter sometimes giveth and other times it makes you look like you run on triple-A batteries. Maybe the lack of fame post-Run's House has finally took it's toll. Perhaps his facial expression is just a web page that hasn't loaded yet. We'll never know.